James Tinniswood: Some People Just Don't Listen. Or They're Stupid. A customer was looking for an item of stationery which was pictured in this week's catalogue. The stationery, that is. Not the customer. Since we were sold out, I referred her to the courtesy phone where she could ring another store to inquire as to the availability of such container/receptacle for her child's pencils. On the phone, she described to the staff member at the other store the item as "an item pictured in your catalogue, it's a Tinkerbell pencil box in the shape of a diamond." I noted her error in geometric identification. 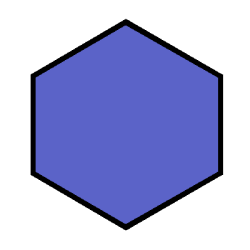 I said, looking some papers to shuffle instead of looking at her directly ... "Actually, that's a hexagon." She says "(to me) Thank you. (into the phone) Sorry, it's a hextangle." I made a mental note to tweet, Facebook status update and blog about her.